Discussion in 'Electric Instruments' started by matt3310, Feb 12, 2019. As the title says I need pickup recommendations. I bought a new Chris Robertson SE. Amazing guitar! Very well built. The bridge pickup sounds good, but the P90 sounds very muddy. My buddys CR neck pickup sounds much better. So I want to replace both but don't know much about P90's. What P90 sounds good, and what Humbucker will it match up with? I really want to put a super distortion in the bridge. Any P90 fit with a SD? Have you tried adjusting the height of the pups? Beery Swine, Glide-bpm and pauloqs like this. Such a simple solution, yet often times forgotten. Beery Swine and Glide-bpm like this. Have a look at the bareknuckles pickups website, they have audio samples of their wide range, and they are good at emailing suggestions as to what goes with what. Great company. Any P90 will fit, but the pickup cover is metric, FYI. Lollar makes a very nice P90 but that’s such a subjective selection. Bridge-wise, SD Antiquity humbucker for me, please. I swapped my Robertson neck with an SD antiquities P90 and its pretty clear. Felt the original was a bit muddy as well. Even with some height adjustments, it wasn’t doing it for me. YMMV. Now it’s great for classic rock. Not sure what tone/style you’re going for. I love P90s and also have a set of Motorcity P90s in my Les Paul which snarl and also helped “lost the mud”. The tone pots actually do something now. Wolfetone makes a good P90 in varying ‘heats’. And their Marshallhead is a killer hot PAF humbucker. I've played with the height a few times. Just cant get the mud out. I play mostly rock/southern rock music. So looking for pickups in that flavor. If you exhausted all possible height adjustments, then I second going Bare Knuckle. They’re expensive, but they have some of the best sounding pickups I’ve ever heard and their customer service is absolutely phenomenal. Dealing with them have been a joy and one of my best experience with customer service. They also takes them some time, because they don’t have a stock of pickups just sitting around. They make the pickups after you place an order with your specs, such pole piece spacing and what type and color of cover you want. You should check out the SD Saturday Night Specials. I’ve heard a lot of grumble about this being a pretty cool pickup. The neck P90 has been a tougher find for me than the bridge. The stock SE P90 is a hum-dinger in the bridge, and while I have one in the neck of my Les Paul, I had to switch the cover to get it to fit. Have you considered a mini humbucker in the neck? SD also makes an Antiquity mini that is supposed to be pretty cool, too. I replaced the bridge pickup with a Manlius Modern Vintage and it is similar to the 57/08 but a little more modern and dynamic, but still in the same PAF family, I would say. For the neck pickup I went with a mojotone quiet coil. It sounds like a vintage P90, but without any of the hum, It is a sweet sounding pickup. Has enough clarity and responds to rolling off the volume really well. I would not hesitate to put that pickup in any guitar with a P90. For the bridge, you might consider a DiMarzio Norton or Tone Zone. Both are high enough output, but are more harmonic-y, PLUS they're of the "screw and slug" variety of pickup bobbins/pole pieces/whatever, so you can order them with a nickel cover to maintain the snazzy look. Of course, double cream is also a nice thing that DiMarzio offers. 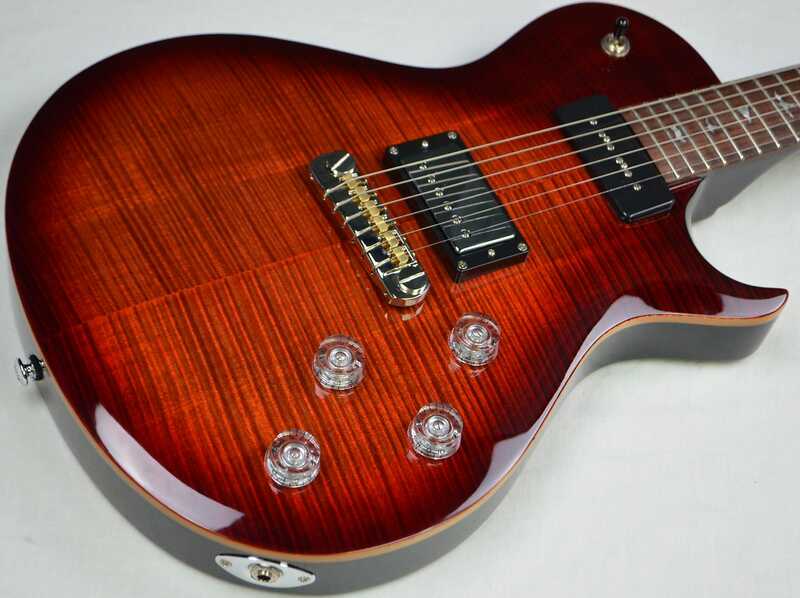 Well I broke down and ordered a 30th Anniv Dimarzio and a Bare Knuckles True grit P90. I hope these will match up good. Got a set of CTS pots at home ready to go on. Core nut, MANNMADE bridge, and locking tuners are ordered. Should be quite the guitar when I'm done. timmypix, You-S4-It, bodia and 6 others like this.